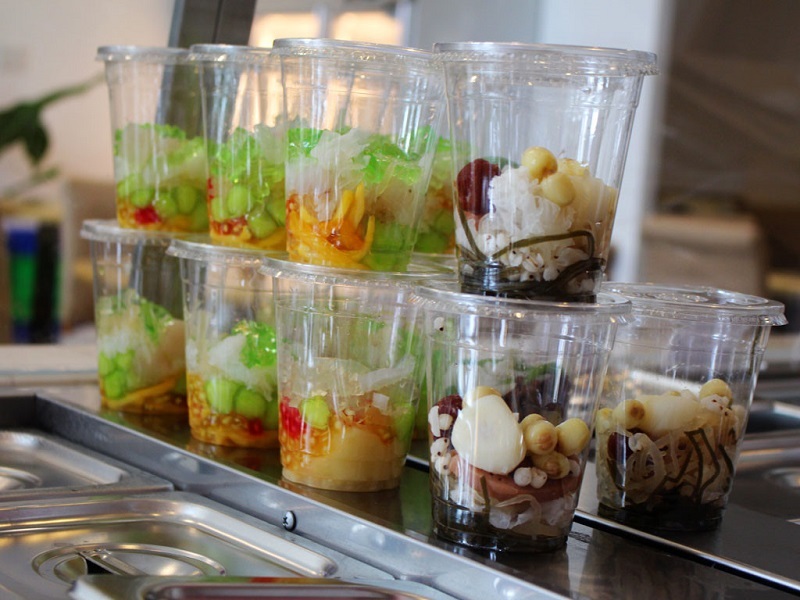 Sample all the pho, bánh mì and spring rolls you want – but leave room for dessert. Chè is a sweet soup that comes in many forms but those with fresh fruit, coconut milk and yoghurt are the biggest crowd-pleasers. During the summer heat, what dish can quench your thirst and provide relaxing refreshment? 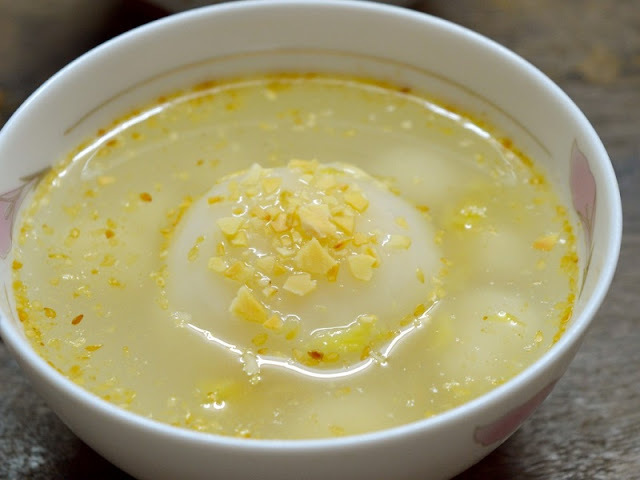 If you were to ask 10 Hanoians, at least seven of them would give you a very simple and quick answer — Sweet Soup (che). Chè is probably genuine dishes of summer days and in the Old Quarter, Che is usually sold as a dessert in restaurants or at stalls along the roadside, and you’ll often see locals grabbing it to go on their motorbikes. Eaten both hot and cold, when mixed with a generous helping of crushed ice, che becomes the perfect roadside treat for a summer in Vietnam. Although there are literally hundreds of varieties — from super sweet to savory — below are some of the most popular takes on the iconic delicacy. Chè bưởi is a typical food that Hanoi people like to eat when it comes to summer. In the excessively high temperature in Hanoi, rewarding yourself with a bowl of chè bưởi seems to be an amazing idea. You will be emerged in the sweetness of coconut milk, a little crispy of pomelo meat and the softness of mung bean. All of these elements combined together brings us a spectacular dessert that you can never forget. 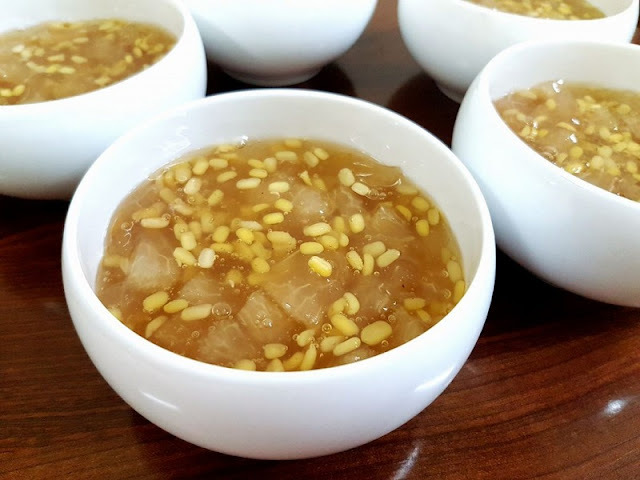 Different from pomelo sweet soup, which gives us the thick and sweet taste, this kind of chè is light and clear. 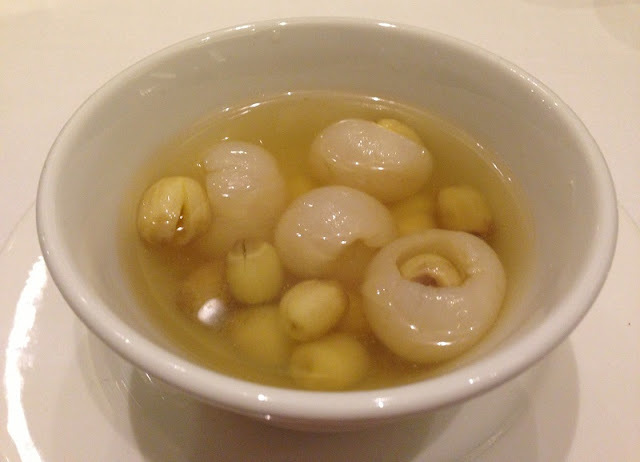 Lotus seeds are simmered in sugar for long hours, then cooked with longans, a Southeast Asian fruit similar to lychees. If you have problems with sleeping, this dessert should definitely be your remedy as both ingredients will help you to sleep soundly. 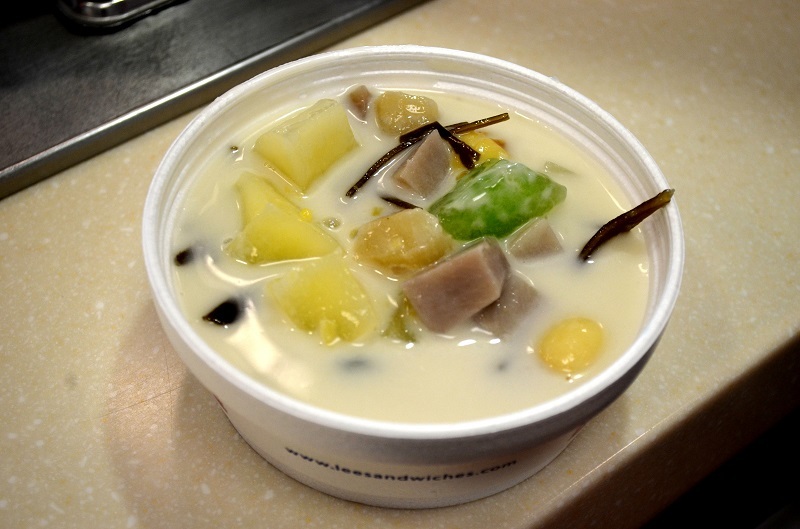 Che thap cam, meaning mixed sweet soup, has something to love for everyone, probably due to its inclusion of everything from fruit, beans, lotus seeds, jelly, coconut and tran chau. As one of the most popular forms of mixed che in Vietnam, che thap cam is a perfect choice for someone who wants a little bit of everything. 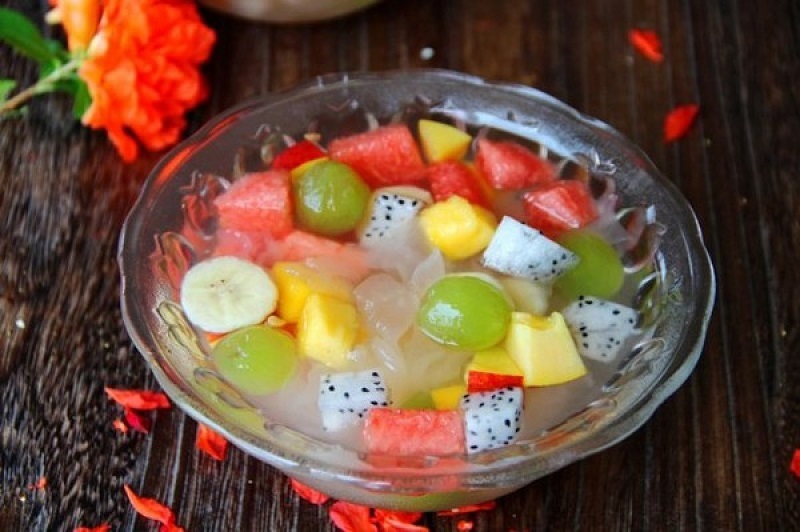 Yet another popular mixed version of che, che hoa qua brings together flavors of any combination of fruits, including pineapple, lychee, apple, pear, mango, and banana along with dried coconut, syrup and milk. Usually a bit thinner and less savory than its bean che cousins, che hoa qua is a perfect option for the summer as its simple sweetness and texture is something akin to frozen yoghurt. A bit different than the others on this list, banh troi nuoc is just one version of the many types of che that incorporate rice dumplings in a mix of sweet and savory flavors. Banh troi nuoc is as simple as it is delicious, with the dumplings floating in a brown soup with water and sugar, along with some shaved ginger root for an added bite. Don’t miss the chance to taste delicious street food and enjoy summer time in Vietnam. Discover the depth of Vietnamese flavour on Hanoi street! It is a great honor to be your partner in Vietnam!